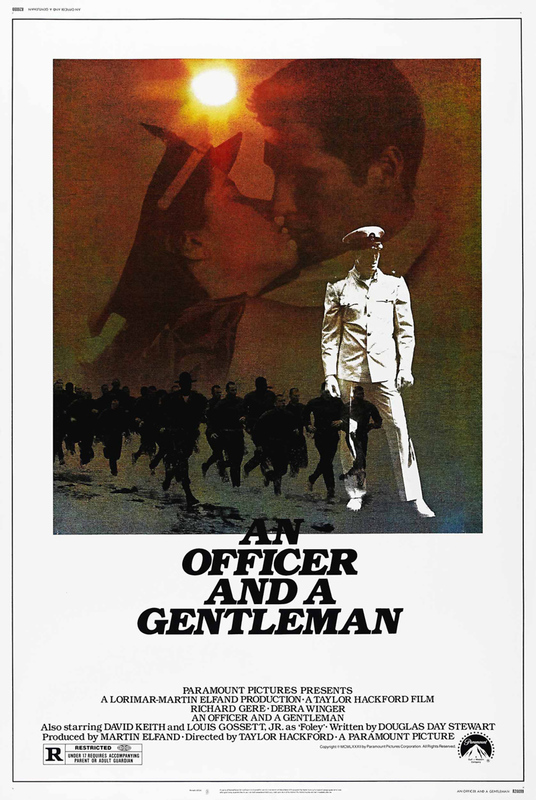 "An Officer and a Gentleman" stars Richard Gere as a young hotshot going through Naval officer training. Much like Tom Cruise's character in "Top Gun," Zack bucks the rules as much as he can, but he has a lot of heart, particularly when it comes to his best friend, Sid, played by David Keith, and his love interest, a factory worker named Paula played by Debra Winger. Meanwhile, he has a lot of antagonism toward his drill sergeant, Emil Foley (Lou Gossett Jr.), but this is the man who can really turn his life around. It's the contrast between the two that creates so much of the movie's tension and allows Zack to truly grow from an angsty adolescent into the man he can be.